This week for Xbox Live Arcade games we get two classics from different times as well as a new puzzle game. The classic X-Men arcade game makes its way to XBLA alongside Dreamcast and PC hit Quake Arena alongside The Path of Go. Check out more below! 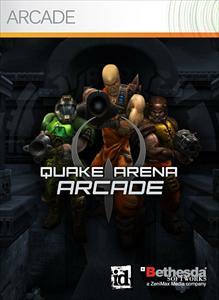 "QUAKE ARENA ARCADE rumbles onto Xbox LIVE Arcade, introducing the challenge and adrenaline rush of THE definitive, competitive first-person shooter to a new generation of gladiators. Frag up to 15 of your best friends, closest enemies or complete strangers in 6 game types over Xbox LIVE, including Deathmatch, Capture the Flag and Harvester. Humiliate your opponents with 12 brutal weapons including the Lightning Gun, the Chain Gun and the time-honored Rocket Launcher. With 33 classic maps, 12 Xbox-exclusive arenas, HD and Widescreen support, and a brand new Single Player campaign… experience QUAKE like never before. Prepare to Fight!" 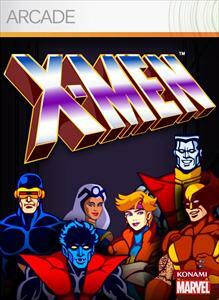 "Experience the classic 1992 X-Men arcade game right in the comfort of your own home! Choose from some of your favorite classic X-Men characters including: Cyclops, Colossus, Wolverine, Storm, Nightcrawler, or Dazzler. Fight your way through hundreds of Sentinels and battle classic super villains such as Pyro, The Blob, Wendigo, Nimrod, The White Queen, Juggernaut, Mystique and the Master of Magnetism himself, Magneto!" 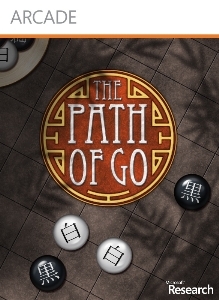 "Download the trial version of The Path of Go. Discover the ancient board game of Go and take your Avatar on an unexpected HD adventure full of challenge! Learn the basics and test your abilities using cutting-edge AI from Microsoft Research. Pit your skills against the world on Xbox LIVE. The ultimate Go experience for players of all skill levels. Dare you walk The Path of Go?"